ciel et joker. . HD Wallpaper and background images in the Kuroshitsuji club tagged: kuroshitsuji. 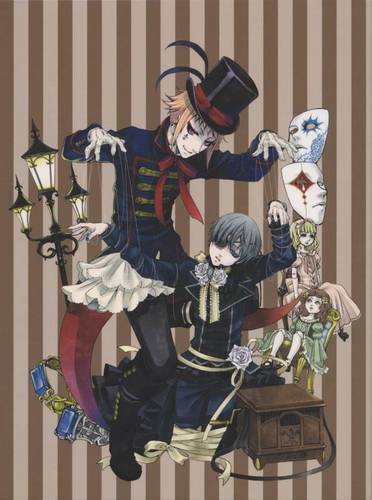 Actually, that's Ciel and Drocell Cainz. Drocell only appeared in the anime version of Kuroshitsuji.